A diet study about the supposed benefits of green coffee bean extract, which got national attention after Dr. Oz promoted it on his TV show, has been retracted. The science watchdog website Retraction Watch reports that the two researchers who were paid to write the study admitted they could not verify the data. "The sponsors of the study cannot assure the validity of the data so we, Joe Vinson and Bryan Burnham, are retracting the paper," the researchers said in a statement. The study was originally published in the journal Diabetes, Metabolic Syndrome and Obesity: Targets and Therapy in 2012. In their work, the researchers claimed that that green coffee bean extract could help people lose weight without diet or exercise. However, federal regulators later discovered that key data, including the participants' weight measurements, appeared to have been altered. Dr. Oz touted the product on his show in May 2012 -- publicity that helped the manufacturer sell half a million bottles of the pills. After coming under criticism for promoting phony "miracle" cures, Oz revisited the topic by conducting his own trial on the the supplement. All 100 women in the studio audience participated; half of the women received the green coffee bean extract, while the other half received a placebo. Oz and his fellow researchers reported that after two weeks the women who took the supplement lost an average of two pounds, while the women taking the placebo lost an average of one pound. However, many in the medical community, and some members of Congress, were not convinced. Oz defended his role at a Senate hearing last June after being confronted about deceptive advertising for over-the-counter diet products, including the green coffee bean extract. "My show is about hope," he said. "We've engaged millions in programs -- including programs we did with the CDC -- to get folks to realize there are different ways they can rethink their future." "I've got no problem with celebrity endorsements of any product but I do have a problem when a science-based doctor says something is a miracle when there's no science to back it up," Sen. Claire McCaskill, who chairs the Senate's Consumer Protection panel, told CBS News' Nancy Cordes in a June interview. Then last month, the Federal Trade Commission filed a legal complaint against Applied Food Science Inc., the Texas-based company that sponsored the original study on green coffee bean extract, for false advertising. The FTC alleged that the study was "so hopelessly flawed that no reliable conclusions could be drawn from it." The company agreed to pay a $3.5 million settlement. "Applied Food Sciences knew or should have known that this botched study didn't prove anything," Jessica Rich, Director of the FTC's Bureau of Consumer Protection, said in a statement in September. "In publicizing the results, it helped fuel the green coffee phenomenon." 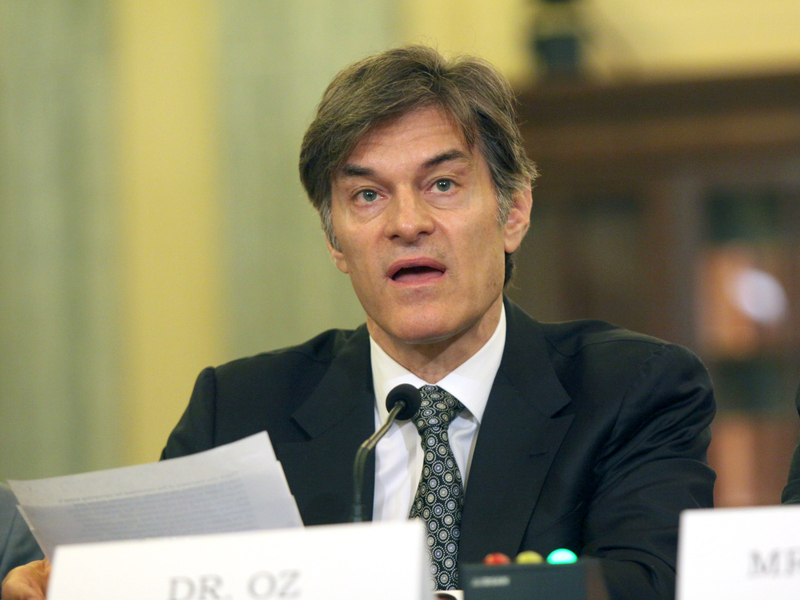 Could Dr. Oz himself face legal action for talking up the product on his show? Legal analyst and CBS News correspondent Eboni Williams says it's unlikely. "Basically this boils down to 'good faith,'" she explains. Unless there was proof that Oz knew the data was fraudulent, he couldn't be held liable. "A plaintiff could argue that he 'should' have known better, but it's a high burden to prove the requisite knowledge required to prevail in court," Williams said.